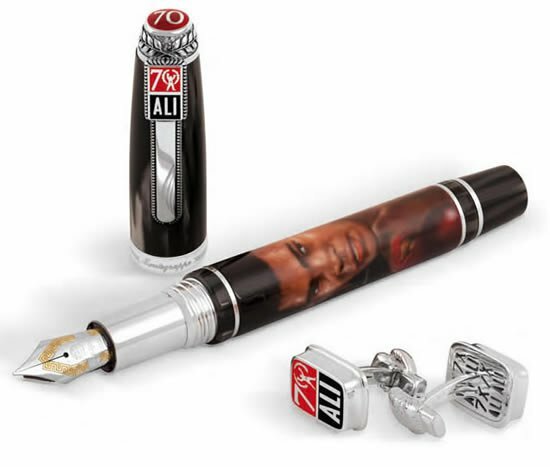 Elvis is following the footsteps of Muhammad Ali and Bruce Lee in Montegrappa’s popular Icons series. 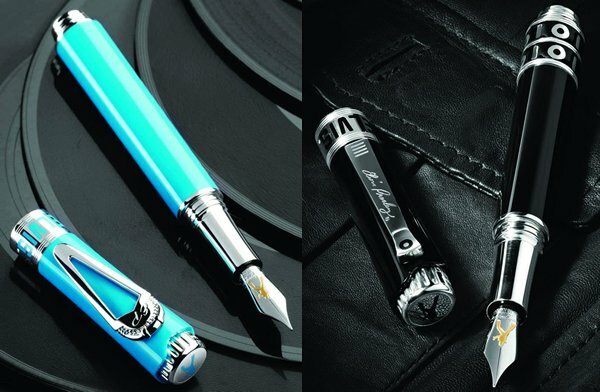 Elvis Presley’s fans would be pleased to learn that Montegrappa is launching 4 models of fountain pens to represent Elvis’ career from 1954 to 1977. 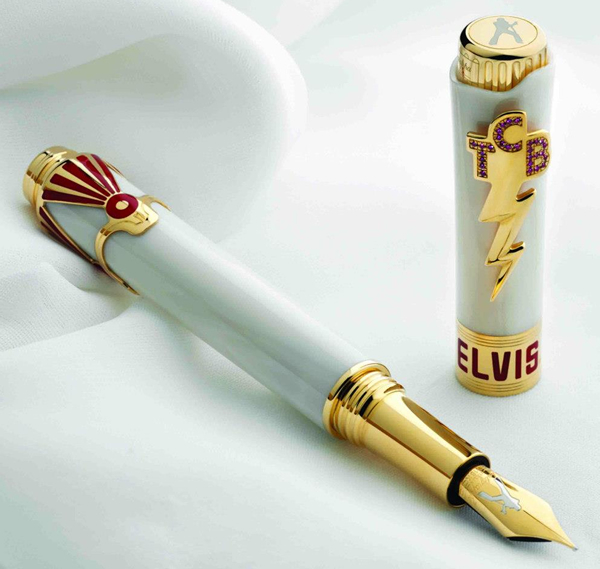 Four colors were chosen to represent different eras in the Icons Tribute to Elvis Presley line of pens. Aqua was chosen for the first part of his singing career, during early 1950s. 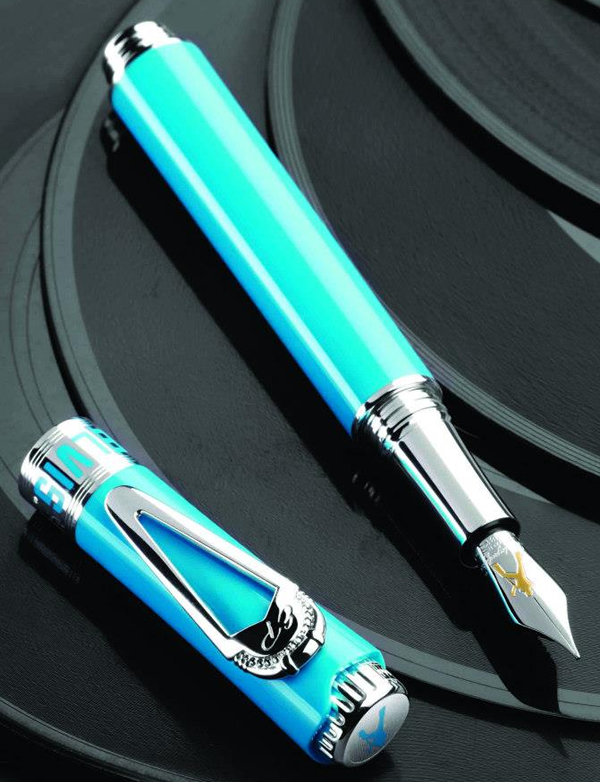 The Aqua color represents the Million Dollar Quartet that included Elvis, Johnny Cash, Carl Perkins and Jerry Lee Lewis, who performed in 1956. 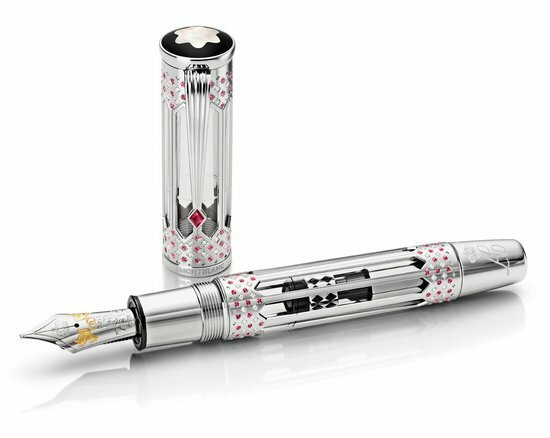 The Montegrappa Elvis Presley Aqua & silver LE fountain pen’s nib comes with Elvis’ profile engraved and costs $2,860. 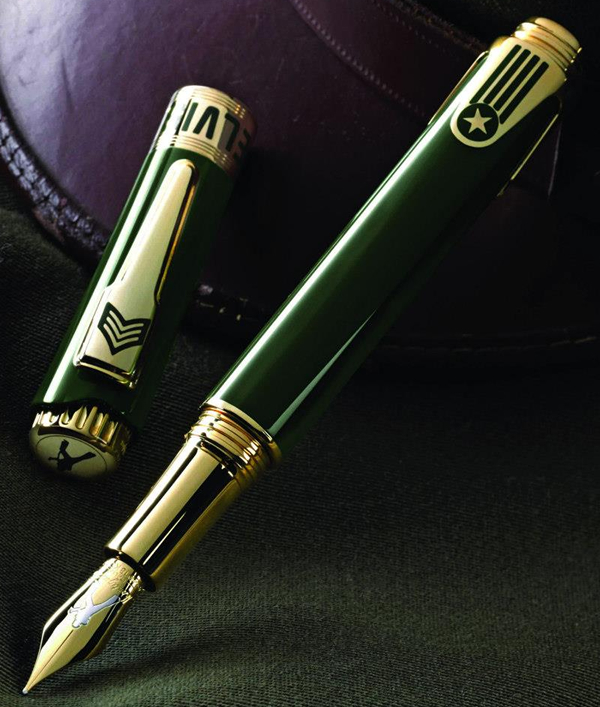 In 1958, Elvis joined the US Army, and thus green was chosen to represent Montegrappa Elvis Presley Green & vermeil LE fountain pen. 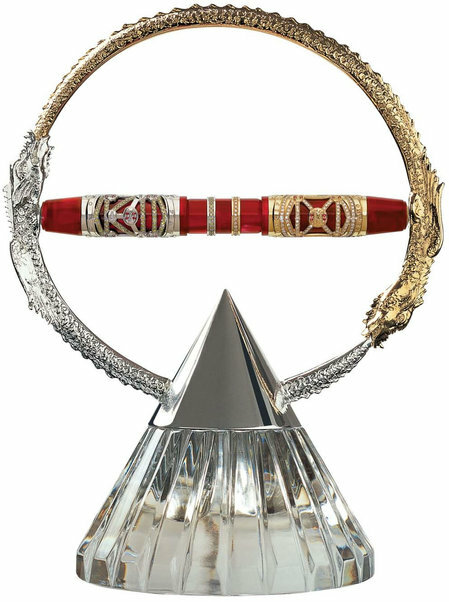 This model features Elvis in uniform and his rank clearly displayed as a sergeant and costs $3,380. 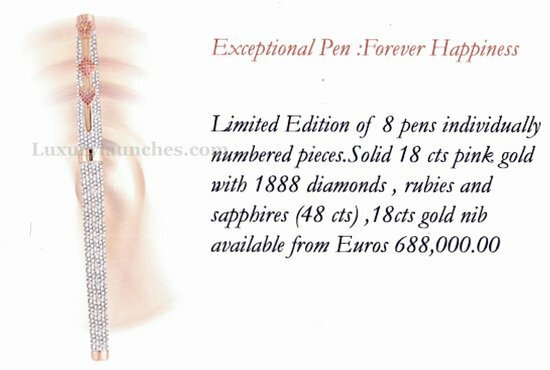 The year 1968 was Elvis’ comeback year and he wore his famous black dress. 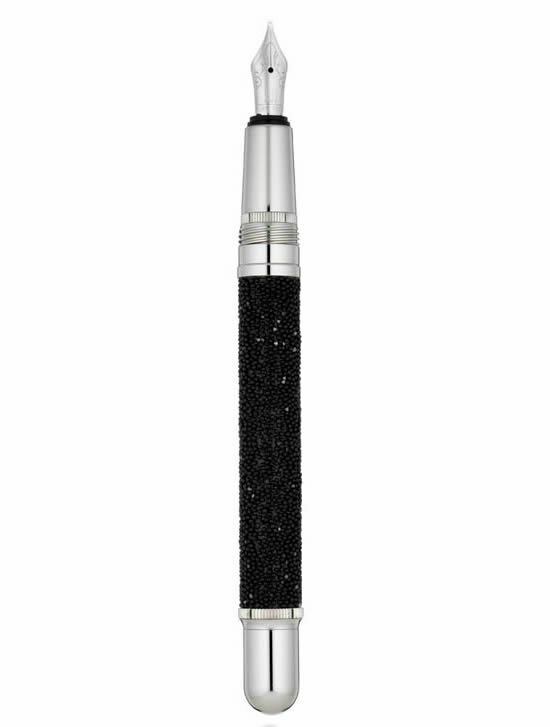 Thus, the Montegrappa Elvis Presley Black & silver LE fountain pen comes with Elvis dressed in black, and costs $3,050. 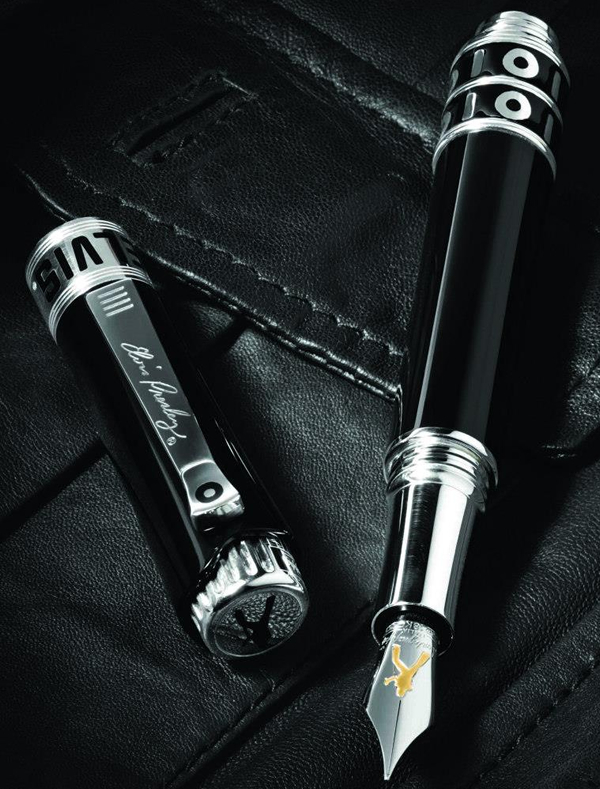 The ultimate model in the quartet is the Montegrappa Elvis Presley White & vermeil LE fountain pen, which represents his ground-breaking “Aloha From Hawaii” broadcast that was watched by almost a billion people over satellite. 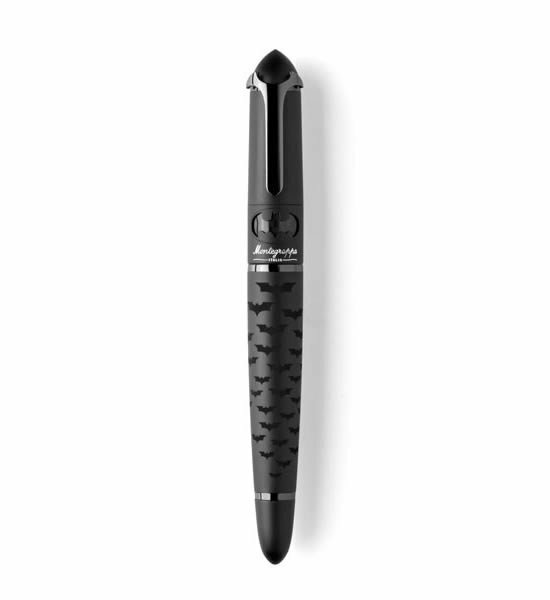 This exclusive model costs $3,900. 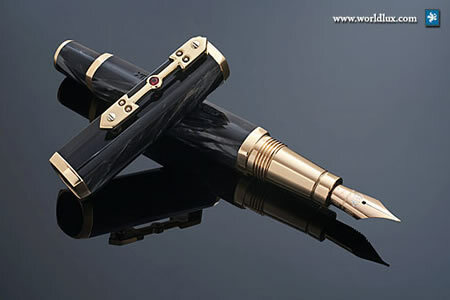 All the four models shall be released in roller ball, fountain pens and ballpoints. 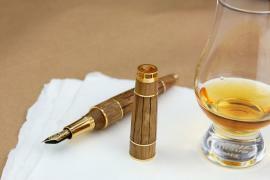 Exclusive gold editions of the quartet shall be released as well.